Question: Old Hospital Park For Wedding by Tameika. What is the cost to use the old hospital park for a wedding? Is there a cost to use the venue or is it free? 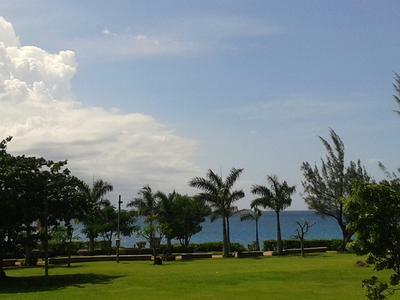 Thanks for stopping my-island-jamaica.com and for your question on using the old hospital park on the hip strip in Montego Bay. Anyways, do note that the park is owned and managed by the St. James Parish Council. It was meant for the free recreation of the citizenry of Montego Bay, and St. James in general. I checked with them today and they stated that if someone is seeking to use it for other purposes, including a Wedding ceremony, approval would need to be first granted by them, that's the St. James Parish Council. You would need to submit a letter stating your request. This letter would need to include all the particulars; including the expected date and time of the wedding, the number of persons expected and all other information you might deem important to the request. Bear in mind that upon approval of the request, you would need to pay an initial security deposit of 5,000 JMD, and the general cost of 7,700 JMD due by the day of the event for a wedding consisting of up to 20 persons. I understand that their might be a refund of the security deposit, if all things are in order at the end, but you'd need to contact them to confirm that. The contact number for the St. James Parish Council is 876-952-5500. Good Luck! P.S. 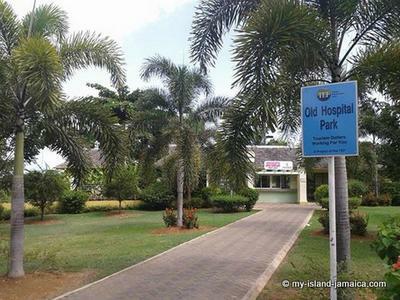 For the benefit of my other visitors, the Old Hospital Park is located on Gloucestershire Avenue (hip strip)in Montego Bay; right across from the Wexford Hotel and China House Restaurant or to the east of Margaritaville Mobay.